The May Giveaway Day event has ended - be sure to check back for monthly Craft Kit Giveaways. The winner of the May Giveaway Day prize is sandyandcosmo. Congratulations! Please Contact Us with your shipping information and we'll have your prize out to you right away. 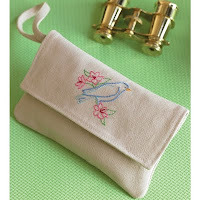 Weekend Kits is participating in May Giveaway Day at Sew Mama Sew! 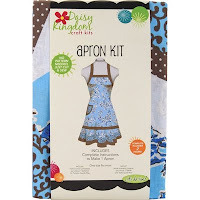 One winner will be randomly selected to win two Fabric Panel Craft Kits - the Blue Toile Apron Kit from Springs Creative and the Harper Handbag Kit from Fabric Editions. 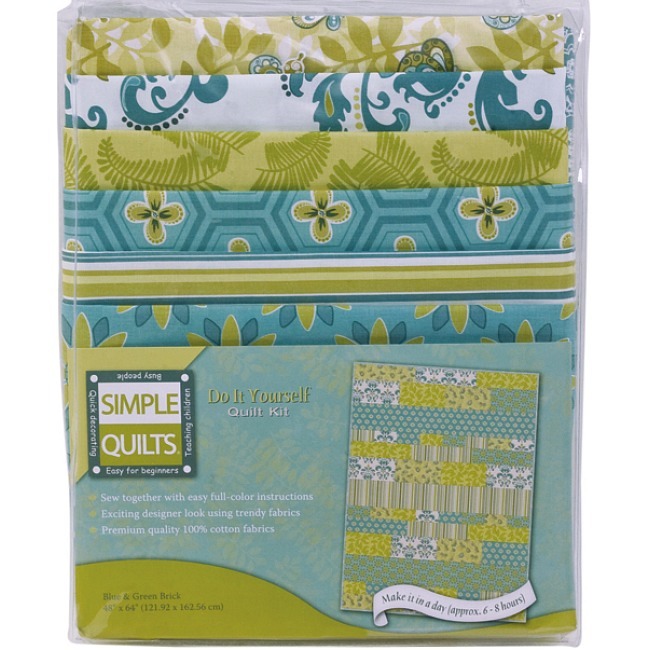 Fabric panel craft kits are a great choice for beginners just getting started sewing. With fabric panels, there's no need for traditional tissue-paper patterns, because the pattern pieces are printed directly on the fabric. You simply cut the pieces from the fabric panel & sew! Fabric panel sewing kits also appeal to busy crafters looking for a quick & easy sewing project they can start & finish in less than a day. 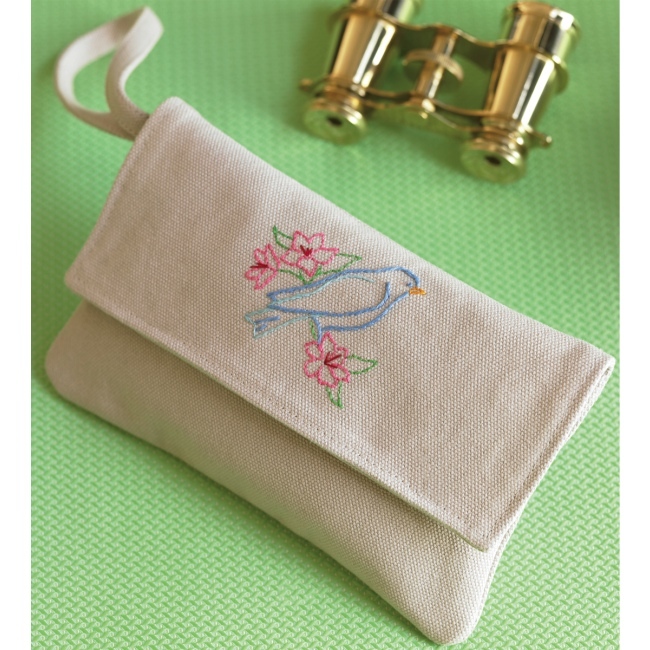 You can see our complete selection of fabric panel sewing kits in the Sewing Project Kits section of the store. Just leave a comment here telling us about your favorite kit or kit category at Weekend Kits. It's not required, but just thought I'd mention, if you haven't joined us on our Facebook page, we'd love to meet you there. Once you're there, click the "Like" button at the top of the page, and we'll always keep you updated on new product arrivals, promotions & future giveaways! • You have until Wednesday, May 25 at 12:00pm (EDT) to enter. The winner will be announced here on Thursday, May 26. We don't collect email contact information at time of entry, so it's important that you check back here to see if you won! It might be helpful to add a reminder to your calendar. If you include email info in your profile or within your comment, we'll send you an email if you win. Winner will have 48 hours to Contact Us with their shipping info before another winner is drawn. I always place a reminder on our Facebook page, so if you've joined us there, you're set! You'll be the first to know when giveaway results have been posted. 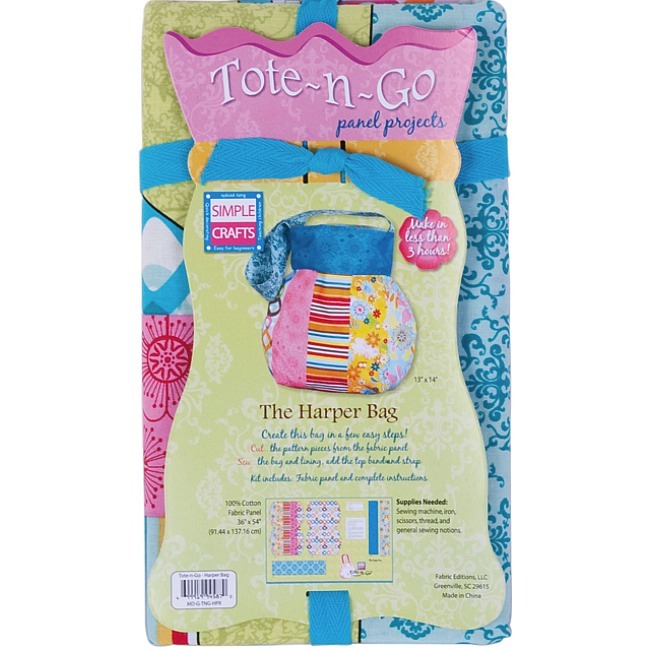 Explore & enter a variety of creative giveaways from others stores participating in May Giveaway Day at Sew Mama Sew! The complete list of giveaways will be posted on May 23. Weekend Kits specializes in modern DIY craft kits for beginners & experienced crafters. 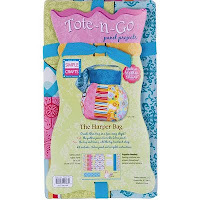 Our goal is to help make crafting convenient, easy, and most of all FUN for everyone! You won't want to miss our newest selection of quality designer aprons from Flirty Aprons. 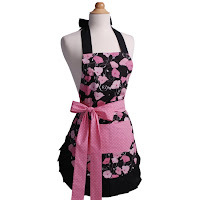 As the name suggests, these aprons are more than just functional, they're fun & flirty too! You'll find them in the Gifts for Crafters section of the store. First, let's talk about the One Size Fits All sizing. 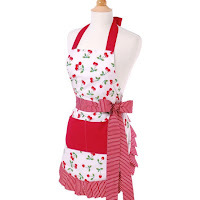 Often times, this really means One Size Fits Some, but not true for these aprons. They were specially designed to look great on a range of women's body types, which means you don't need to worry about choosing the right size. 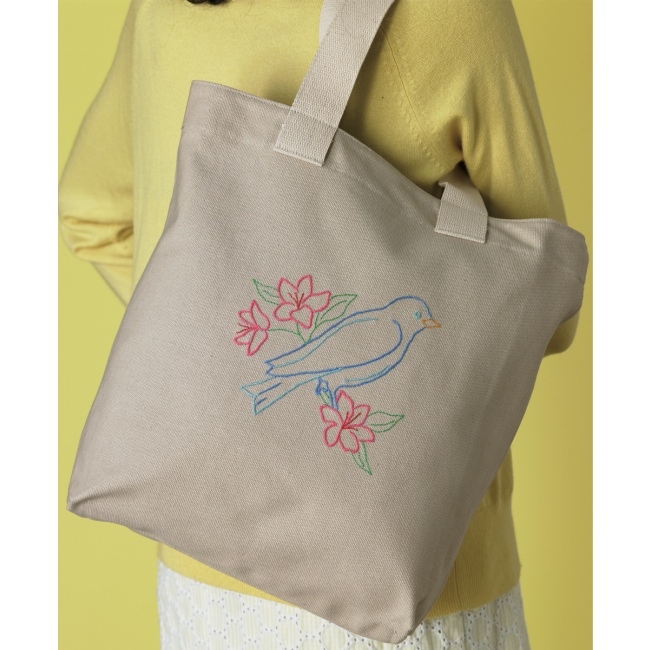 This is especially nice if you're buying this as a gift for someone else. The designer fabric is soft to the touch and won't tear or fade when washed according to the care instructions on the tag. If you don't have a lot of extra time for hand washing your clothes, you'll be glad to know that these aprons are machine washable. 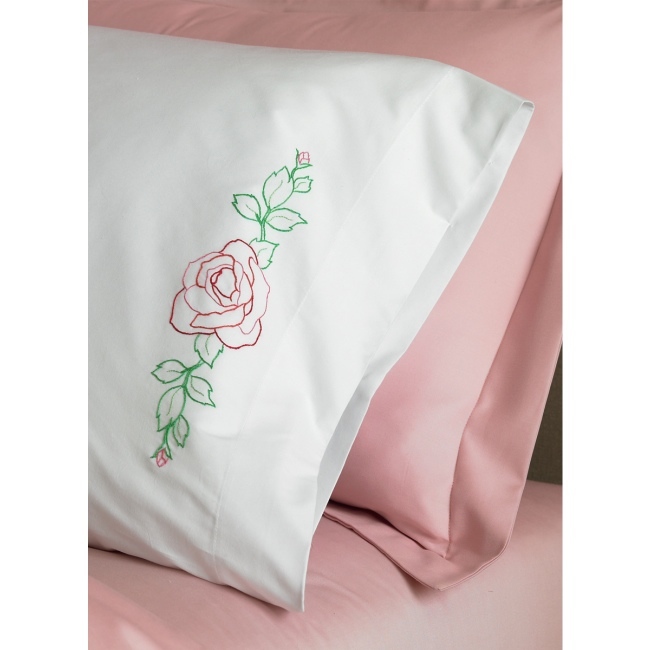 They're sewn using a double layer of quality cotton fabric for durability. And, the full coverage design helps protect your clothing while working. In addition to having a great fit, soft fabric, and quality construction, these aprons are so cute! The long waist ties can be tied in the back for a traditional look or wrapped around to the front for a more contemporary apron style. Either way, this is a flattering apron style you'll love wearing while cooking, cleaning, or crafting. 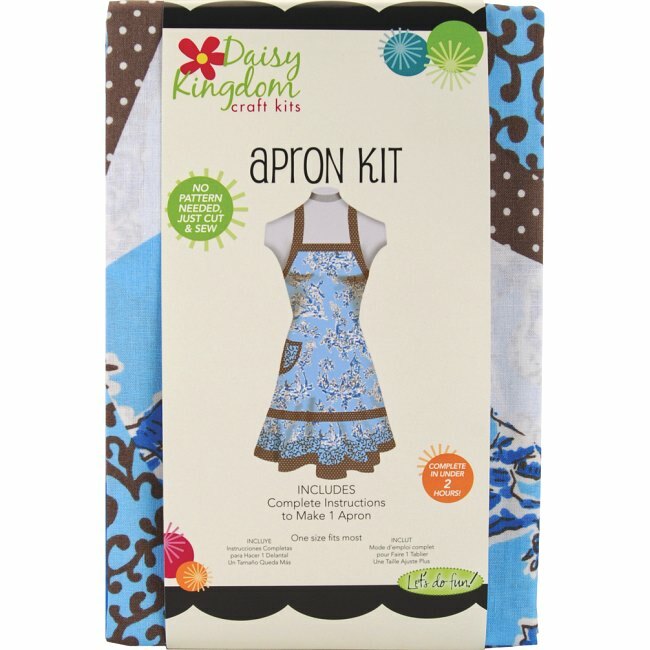 Designer aprons are a great gift giving idea for moms, daughters, sisters, and friends. The perfect gift for mother's day, housewarming parties, bridal showers, and more! 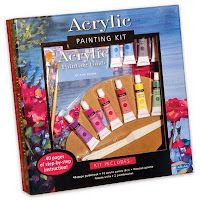 Visit the Gift for Crafters section for all the details. 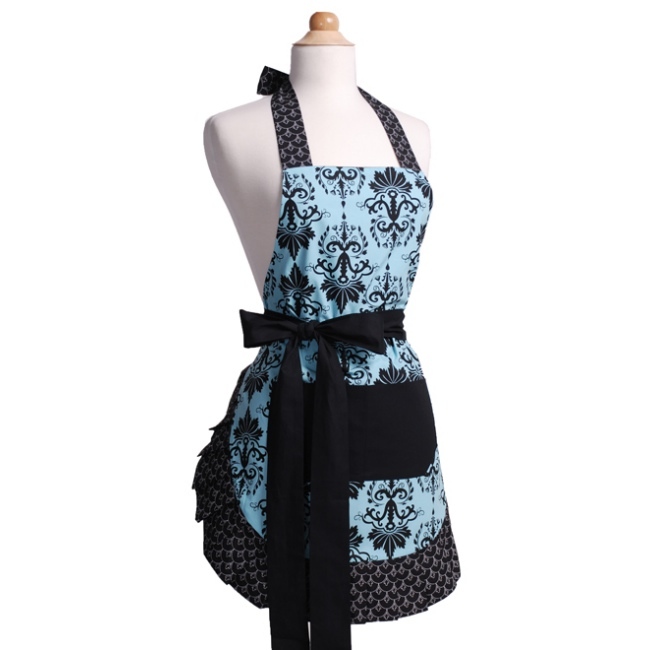 We'll be adding more designer apron styles soon, so be sure to check back. 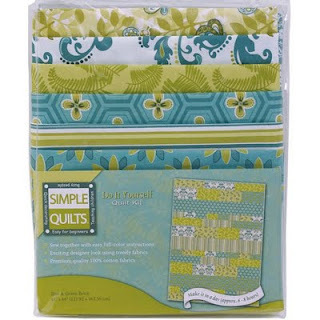 Weekend Kits offers a unique selection of modern DIY craft kits, including quilt kits, embroidery kits, jewelry making kits, and more! 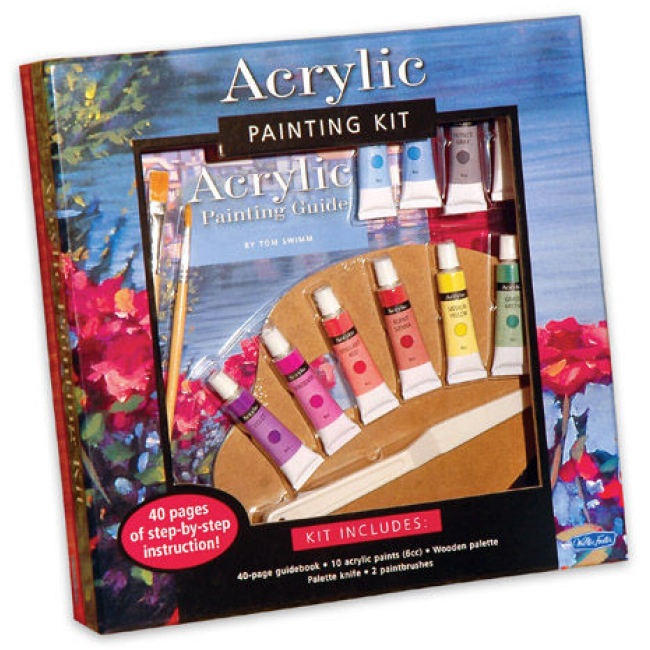 Stop by today and be ready to create something new on your next Weekend at Home. Thanks for visiting the Weekend Kits Blog.